The number of country musicians I like and listen to is a rather small list: Johnny Cash, Hank Williams, Waylon Jennings and probably a few more. But I’m an open-minded music fan. If something catches my ear, I will listen, regardless of what genre it falls into. 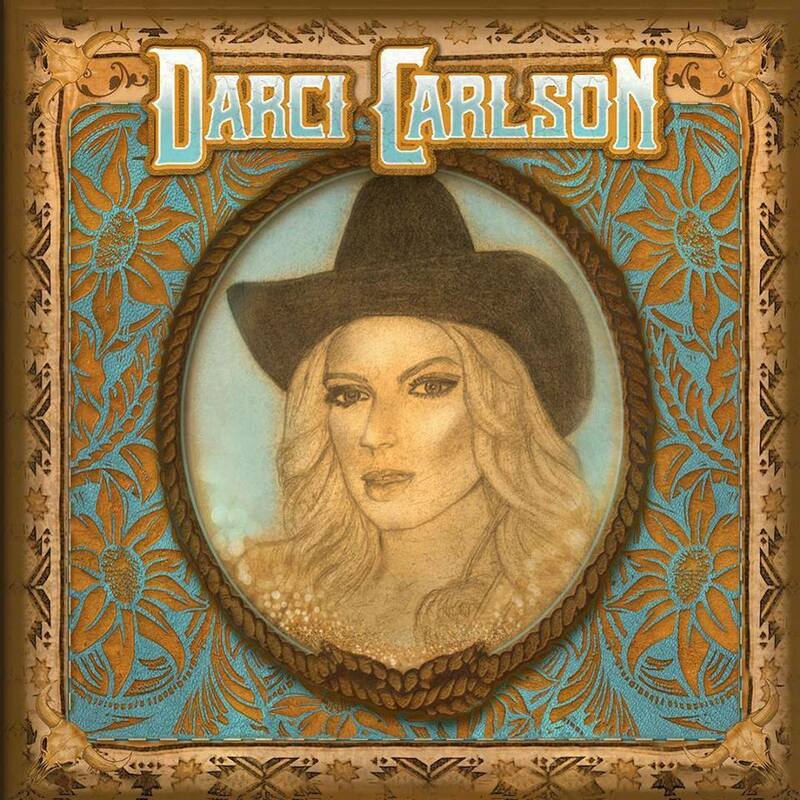 The sounds of Darci Carlson caught my ear a year or so ago. It was a video for the song “Release Me” — here was a rocker-looking woman from Seattle sounding more Nashville than the current country crop. Her music sounds like it was made in the ’60s or ’70s, a universe removed from the pop-country of today. Her sound has more in common with Tanya Tucker instead of Kenny Chesney or Carrie Underwood, especially given Carlson’s powerhouse, whiskey-breathed, smokey, sultry vocals. Her debut album starts off roaring with the throttle down. “Rat City Bound,” the first song on the album, is a first person testimonial/confessional of a wild woman on the run. It’s an up tempo number with a bluesy strut to it. This song has a larger than life anthemic feel to it, as anthemic as the most bombastic, lighter waving classic rock power ballad. It’s a song that celebrates the life of the party. It’s one of those songs that brings to mind seemingly endless summers – I’m thinking of “Fast Times at Ridgemont High” and “Dazed & Confused,” those halcyon, alcohol soaked-days between ages 17-20 when so much of life lies on the horizon, and joy was found with the ride, not necessarily the destination. The album is not just about good vibes and good times. At the drop of a dime, Carlson is able to switch gears from the party life and the fast lane into more introspective, reflective moments. “To the Moon and Back” is a soul-stirring love song about the one who got away. It’s a ballad, and when listening one gets the feeling that the emotion conveyed in the song is so genuine, of what it’s like to be consumed with love for someone and the turmoil that comes when love is complicated and difficult. The next song, titled “Don’t Call Me Baby,” hits with such an impact because of its location on the album, creating a contrast to the previous track. Instead of a tumultuous tale of love lost, this one is an up tempo song, complete with a little piano boogie accompaniment, about telling a former flame to get lost. “Surrender” is an anomalous curiosity on the album. The lyrics are more indirect and esoteric. Carlson is belting out about what sounds to be a heavy burden. My take is it’s possibly a song about the hardships faced and sacrifices made by starving artists in the name of their craft. This album brings so much to the table, a truly multifaceted sound, entrenched in a spirit of heartfelt, organic grit. I guess Seattle is indeed a long way from Nashville. Her eponymous album, released April 20, is available on most digital platforms. For more from Carlson, follow her on Facebook here.